The Edamame is ready. So are the tomatoes. 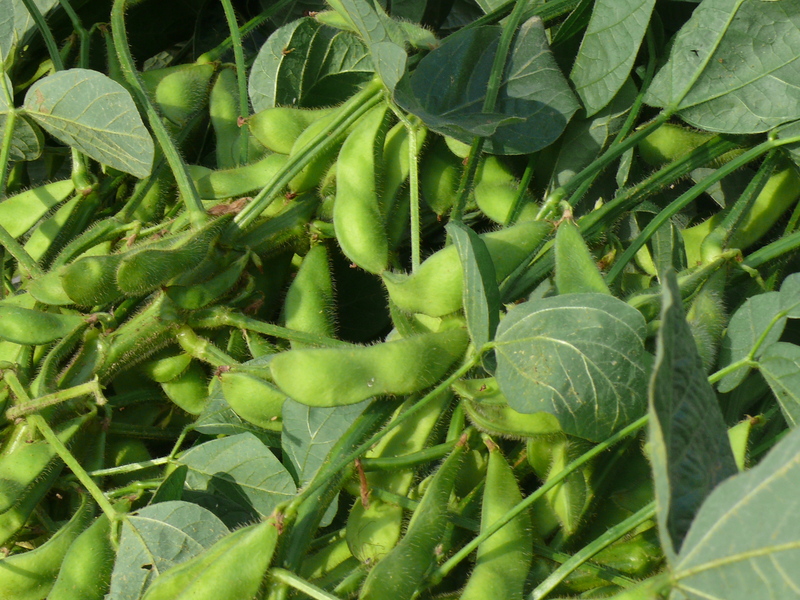 Soybeans are a commonly found in processed food, usually in the form of soybean oil or soy flour. Soybeans, in their original bean form, are tasty and nutritious but rarely encountered in our diet. I don’t think I have ever seen fresh soybeans in the produce section of the supermarket. They are a common appetizer in Japanese restaurants, where they are called edamame. They also appear shelled at some salad bars. The soybean variation used for edamame is often called the “edible soybean”. That an odd name as it implies that some soybeans aren’t edible. The “edible” variety is larger and more tender than the version used for cattle feed and oil. Edamame is easy to prepare and very tasty. Boil the bean pod in salted water until tender, about 5 minutes or so depending on the bean. Remove from the water and dry the beans. The bean should easily slip out of the pod. Edamame can be eaten with a little salt right from the pod. They can also be shelled and the beans used in many ways, like this recipe for a bean dip. You could also make your own tofu. Unlike green or wax beans, soybeans all ripen at the same time. The plant is cut or pulled from the ground and the beans are stripped off the bush. One edamame style soybean bush can easily yield a half pound or more of beans. We will be cutting our edamame plants over the next few days. If you are looking for something a little bit different to go with your Labor Day celebration, stop in at the farm and get some edamame. 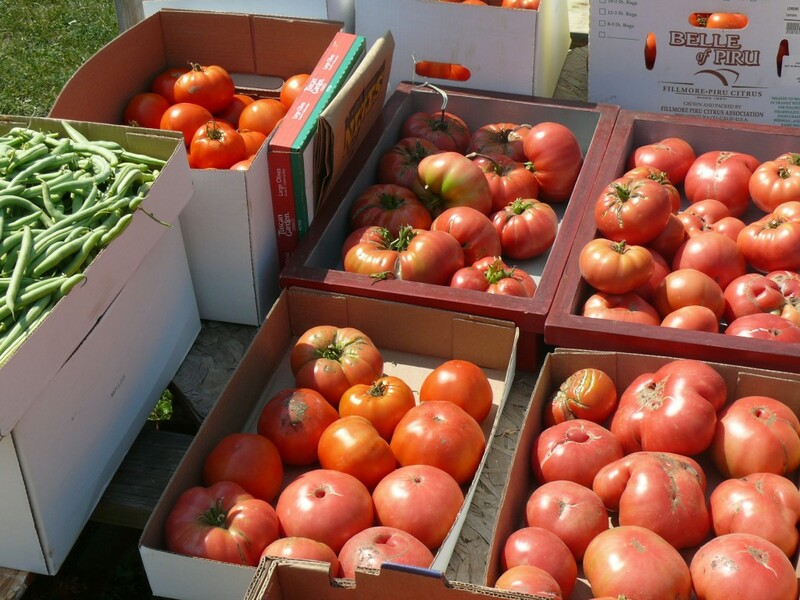 We also have lots of tomatoes available! This entry was posted in Vegetables and tagged edamame, soybean, tomato. Bookmark the permalink.